To promote the game of tennis in the City of Spearfish among all ages and classes of people. To encourage fair play, athletic ability, lifelong interest in fitness and health, and respect for the game and fellow competitors. To teach players the fundamentals of the game of tennis and to give them opportunities to improve their skills and to compete at a recreational level, locally, regionally, and nationally. To teach the rules of the game, sportsmanship, honesty, the acceptance of defeat, the willingness to improve, and graciousness in victory. To cooperate with the United States Tennis Association and other associations in the pursuit of these aims. Spearfish Tennis Association is registered with the Uinted States Tennis Association. We are an organizational member if the USTA Northern Section. Tennis facilities are not free. Having more members increases our power with funding organizations, allowing us to maintain and develope facilities and programs. Please help by joining the STA. Click on the link below to read more and pay online. Or download our membership form and mail it in. The Spearfish Tennis Association is offering a middle school tennis program this spring for all Spearfish 6th, 7th, and 8th grade boys. Joe Doerges will be running the program with assistance from other Spearfish Tennis Association members. This program is for any 6th, 7th, or 8th grade boy in the Spearfish area. Since tennis is not an official middle school activity at Spearfish MS, any area MS boy may participate in the program. Players will need a school physical and need to complete our STA registration form for this program. Registration form, signup sheet and information sheet are available in the MS office or you can download using the following links. 7th and 8th graders attending Spearfish Middle School who have adequate skills as determined by the coaching staff, may participate on the Spearfish HS boys tennis team. These students will need a school physical and commit to attend HS practices and local and Rapid City tennis meets. Practices are Monday-Friday 3:30-6:30. 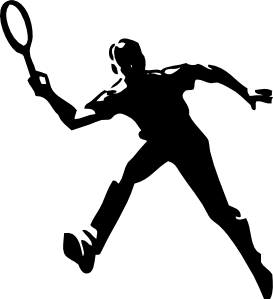 The HS tennis season is March 11 – May 18. There is no cost to participate but t-shirts are available for $10. You can order a Middle School team T-shirt for $10.00. They are the same as last year - maroon, 100% polyester and will have “Spearfish Tennis” and the two Spartan heads in white. Please indicate number and sizes on the registration form. They should be ready in about 3 weeks once we put an order in. Practices are Monday through Friday and start Mar 18 from 3:30-4:45 at the MS tennis courts. Players are not required to attend all practices, but it is helpful for staffing purposes to know when your child will not be at practice. Practice schedule will vary until the MS tennis courts are clear of snow. We will use the Remind App and online calendar to communicate any changes. Participants will need proper practice clothes, T-shirt, shorts with pockets, tennis shoes, warm clothing for those cooler days. NO flip flops, jeans. We will provide water but they need to have their own water bottle. The Spearfish Tennis Association will provide tennis rackets or students may bring their own. No Open Gym on Monday Feb 25, 2019. If conficts come up, we will post changes on the STA calendar. If you have ever tried to get into the Young Center to play in the evenings, you will understand what a great opportunity this is! Please check in at front desk. People with memberships to the Young Center will not have to pay to play. Non-members will have to pay $3 per night for a day pass. You will need to supply your own tennis balls. The Young Center would like at least 12 to 18 people there a night. Please realize that there will probably not be courts available for singles play or for a group of four to play full sets of doubles. Be prepared to share courts so that all can participate. In the past member of the Spearfish Tennis Association set up and took down nets, organized drills and what games would be played. This year participants are responsible for setting up and taking down the nets.